To call friends to the pub (a call to the Queen’s Arms, maybe? ), Tinycat blows the Horn of Gondrinkin. All across the borough, ears perk up and cats pause in mid-sentence to stare hopefully in its direction. Then as one they raise up their tiny hands and shout, ‘To the pub!’. 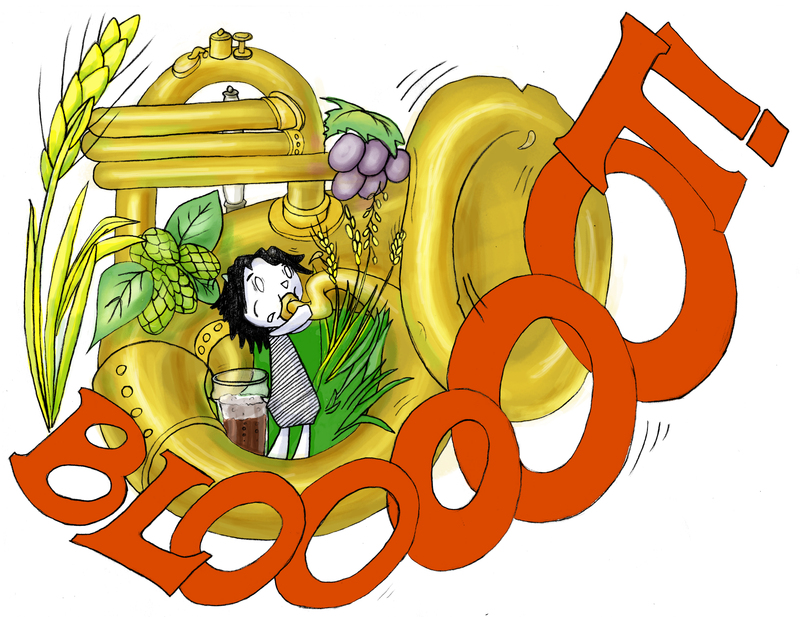 A Bloot on the Horn of Gondrinkin calls all the girls and boys to the beer garden.